CES, 6th January 2019 – Jabra takes challengers to task at CES 2019, with the launch of the newest addition to their Elite range of headsets: The Elite 85h headphones. The new headphones are engineered with Jabra SmartSound, based on audEERING context intelligence technology and include Active Noise Cancellation (ANC) and Jabra’s HearThrough technology, which enables users to decide how much of the outside world penetrates through to the listener. Whether you are commuting, need to concentrate or are in a crowded place, SmartSound ensures the audio of the Elite 85h automatically adjusts to your surroundings to offer the best calls and music experience. 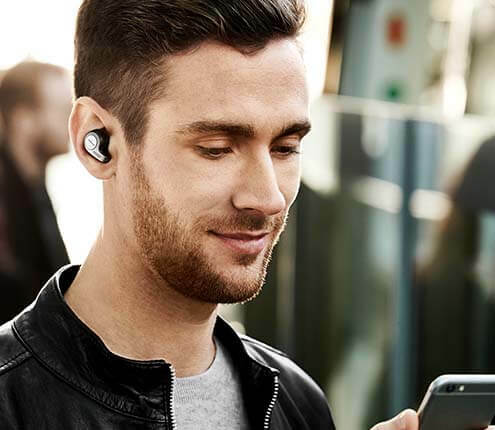 The microphone solution combined with the Jabra Sound+ app creates a 100 per cent hands-free Voice Assistant access experience. Users no longer need to touch a button on the headphones to interact with Alexa, Siri® or Google Assistant™ - all you need to do is speak, to be connected immediately. Jabra is the among the first to feature this capability, allowing users to access Alexa by invoking the wake word. The headset will be available in four colors (Black, Titanium Black, Gold Beige and Navy), incl. one exclusive to BestBuy in US & Canada (Black). Available from April 2019 at selected retailers at MSRP 299 USD/EUR and 279,99 GBP. 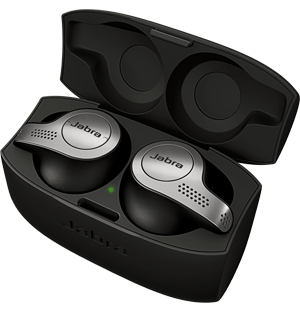 Find out more about the Jabra Elite 85h and SmartSound at: www.jabra.com/elite85h.